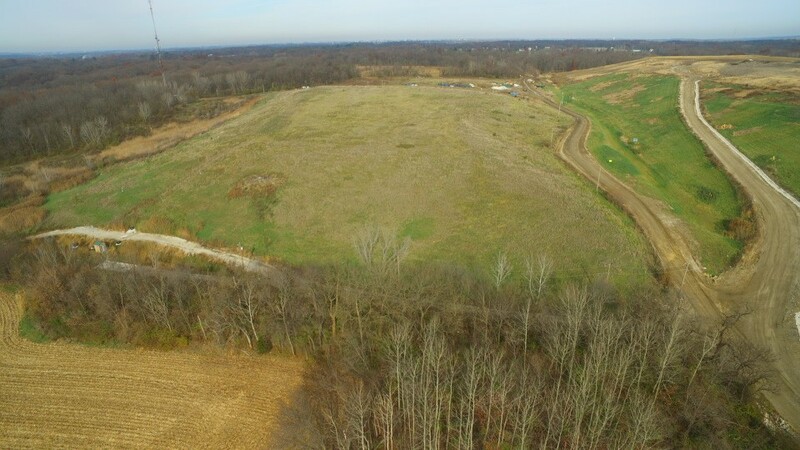 Our ENVIRONET Team has developed and implemented effective strategies for site closure of brownfield sites, LUST sites, RCRA sites, landfills and other waste sites. The strategies chosen for each project are tailored to our Clients’ needs regarding timelines and the physical settings specific to each project. The strategies recommended for site closure includes more than one option within the Client’s project constraints. Examples of innovative and cost-effective solutions are provided below. We focus on a challenge-oriented approach to solutions that will bring together natural sciences, and the development and application of technologies, to understand and deliver a sustainable future. EnviroNET recognizes the need for new innovative products, technologies and ideas that improve our environment. Sectors of impact include soil, air, water and food in both rural and urban landscapes. 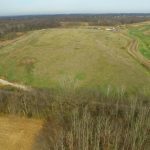 EnviroNET is taking steps to provide the best post-closure monitoring care for the former East Moline Landfill. 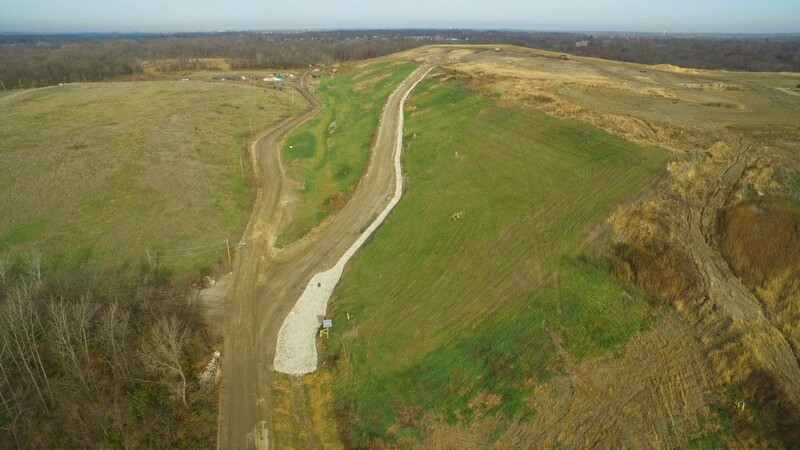 New sump tanks implanted at the base of the landfill supplement existing leachate collection systems and several groundwater wells are routinely monitored in the surrounding area to minimize contamination. 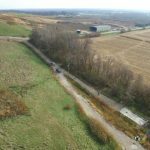 We are excited to share new aerial photos of these recent developments with great thanks to drone pilot Dan Murphy, owner of Ag-View Products and Services. Mr. Murphy holds a commercial license for unmanned aircraft systems in addition to his private pilot’s license. A DJI Inspire 1 drone with 4k photo and video capability flew at a speed of roughly 11 mph to capture dozens of photos. In accordance to standards and to maximize photo quality, photos were taken anywhere between 25 to 100 meters above the ground. This drone is known to fly at speeds up to 55 mph for at least 20 minutes. 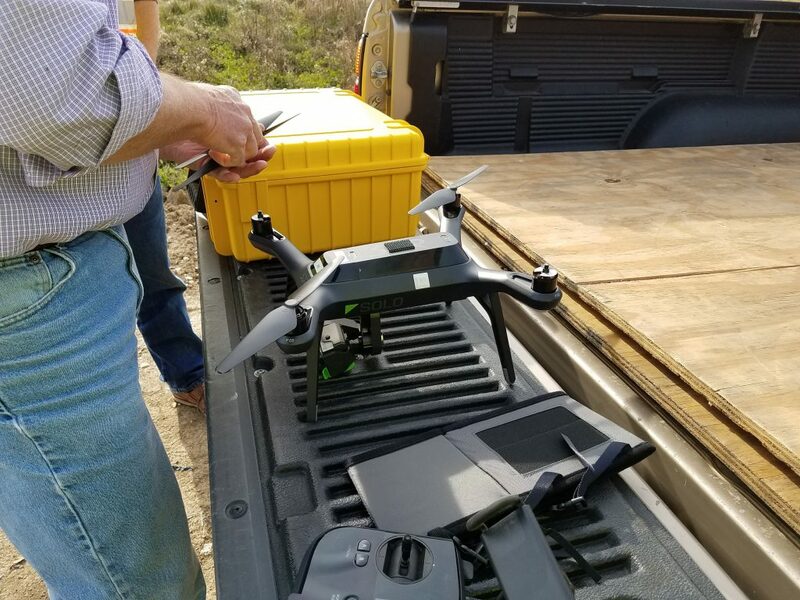 Drones are notably valuable for shots in close proximity to the ground and capturing details in small spaces. 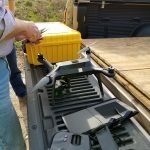 With multiple batteries, one can quickly survey over 100 acres and prepare photos immediately after landing. 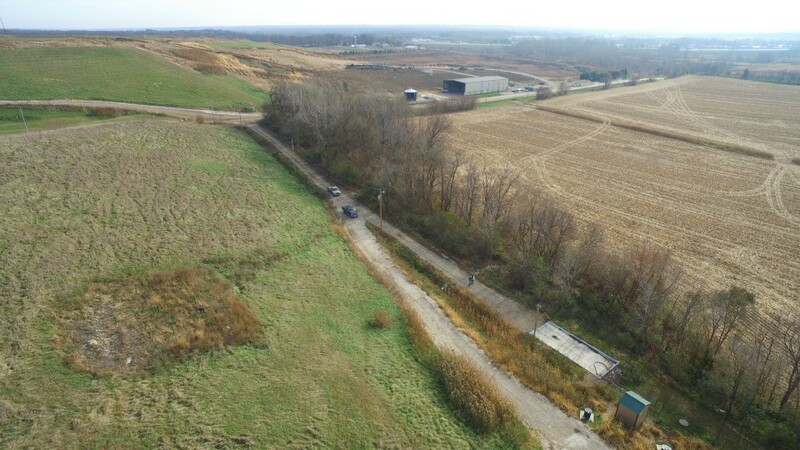 After 39+ years of service, Mr. Murphy recently retired from John Deere and has since connected with the farming community in Illinois, Iowa, and Wisconsin through aero photography. Mr. Murphy’s services cover crop anomalies, scouting, inspections, real estate, and special projects. Bio-degradation of contaminants in soil and groundwater was used in two federal projects, two municpipal projects, and others. Our remediation plans, consisting of on-site biodegradation, have been well received by the Navy and other Clients, as costs for transportation and disposal of contaminated soil could be avoided. The Navy projects were completed successfully on time and more than $2M under budget. 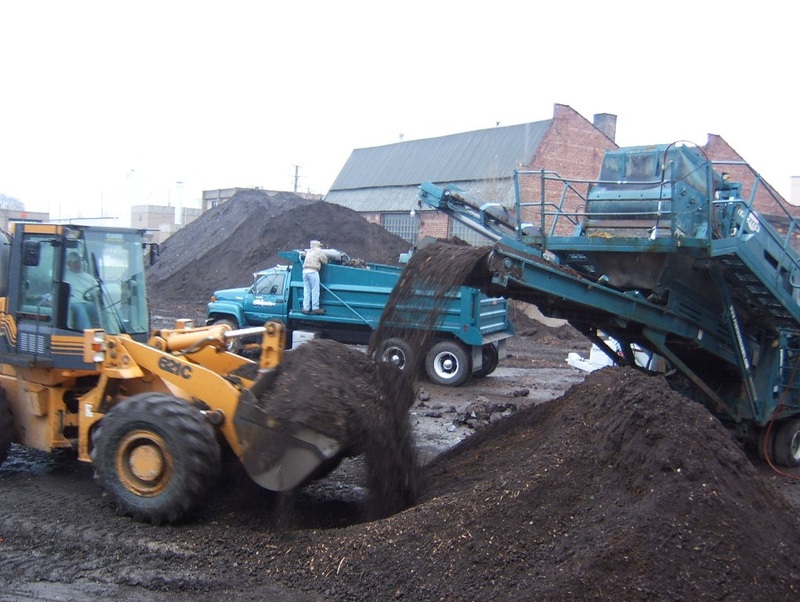 A total of 175,000 CY of contaminated soil was remediated on site using ex-situ windrows, biomass and bulking agents. 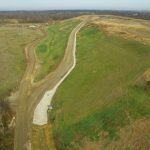 Innovative composting design for soil remediation used in the Quad Cities provided an organically rich substrate for a “green” prairie-grass park, where previously, nothing but thistles and road rock were evident. This minimized costs by avoiding landfills reducing the need for clean fill in the park. 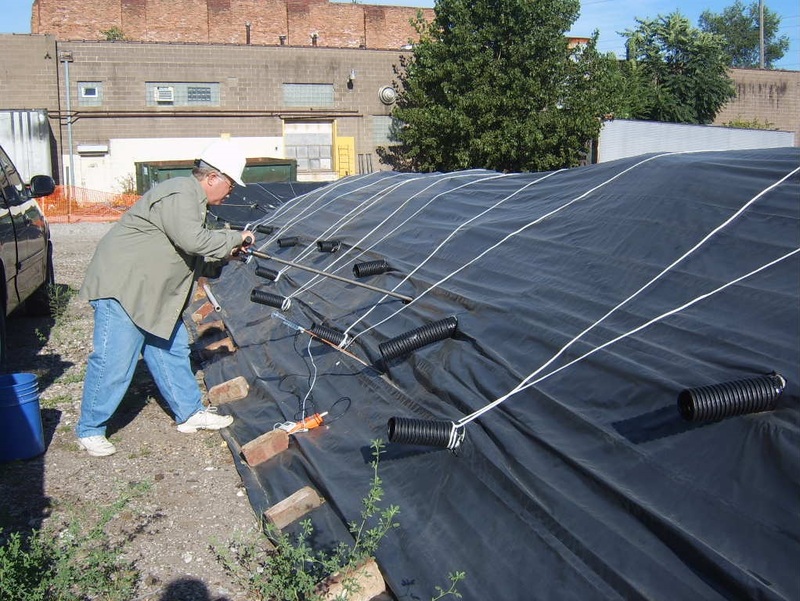 The recycle-reuse philosophy employed on this project site followed the federal and state initiatives supporting site restoration, waste minimization, and budget maximization. Additionally, innovative composting design for soil remediation was used at the Quad Cities Children’s Garden to remediate oil-impacted soils. Innovative design using an air sparge technique and horizontal sparge wells was utilized at the US Naval base in Great Lakes, IL This technique was necessary due to the presence of a railroad track. Soil and groundwater contaminated with petroleum compounds migrated under the railroad tracks near Building 1600A at the Naval Base. Since the railway was utilized on a daily basis, the remediation design included installation of horizontal air sparge wells. 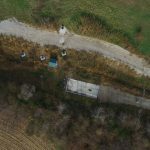 A right-of-way agreement was negotiated with the railroad to allow installation of two parallel / horizontal air sparge wells under the plume and several groundwater monitoring wells around the plume. 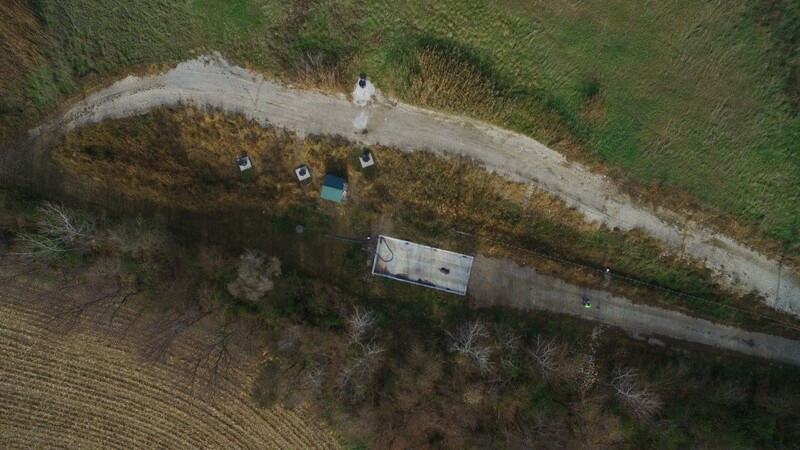 The two air sparge wells were engineered to effectively remediate a soil and groundwater plume approximately 60 feet wide and 80 feet long. The wells were installed approximately 30 feet apart with perforations engineered to deliver compressed air into the petroleum-contaminated area 24 hours/day. EnviroNET evaluated the soil and groundwater contamination specific to numerous petroleum releases at the NEX Mini-mart. The detail design, consists of a treatment building, bioreactors, pumps, meters and sampling ports, treated groundwater enhanced with indigenous microbial populations, oxygen and inorganic supplements. The bio-reactors provide enriched inoculants for soil washing and bio-remediation of substrate. EnviroNET staff managed remediation of soil and groundwater, as required, on a sloped terrain on the edge of Rice Lake, near Canton, Illinois. Petroleum contamination was migrating toward the lake. 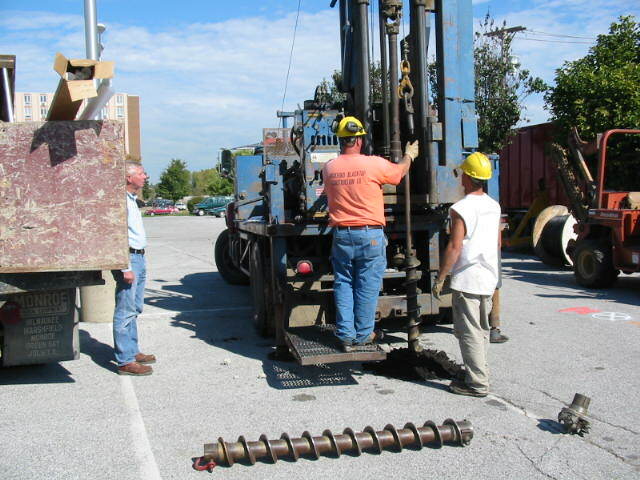 Hydraulic control was of significant concern to EPA, DNR and Wildlife Refuse personnel, therefore, the recovery well placement and capacity were carefully engineered. The treatment technology was a combination of air stripping and bio-enhancement using oxygen. The treatment building was designed to accommodate a medium sized air stripper and an oxygenation process to enhance microbial populations in the treated water. The treated water was then recycled through a pump, up the slope, to an infiltration trench located up-gradient of the soil plume. The treated groundwater mechanically washed and biologically scrubbed the contaminated strata, resulting site closure. Geophysics used in assessment and remediation of 8.5 Acre Fire Fighting Training Unit (FFTU), Great Lakes Naval Training Center – The FFTU assessment and remediation project was part of an Indefinite Quantity Federal Service Contract. Innovative assessment techniques, including an electromagnatometer (an EM-31) were included in this project. Geological and hydrogeological profiles were utilized together with site-specific chemical and nutrient information. The contaminants were petroleum solvents, jet fuel, gasoline, diesel and other combustible products, which were stored on site, plumbed to several buildings, and frequently ignited for the purpose of simulating fires on naval vessels. USEPA directed the review of work plans, sample plans, quality assurance program plans and reports. Biomonitoring included periodic assessment and adjustment of moisture content & pH, nutrient enhancement, leachate collection and circulation, and microbial plate counts. 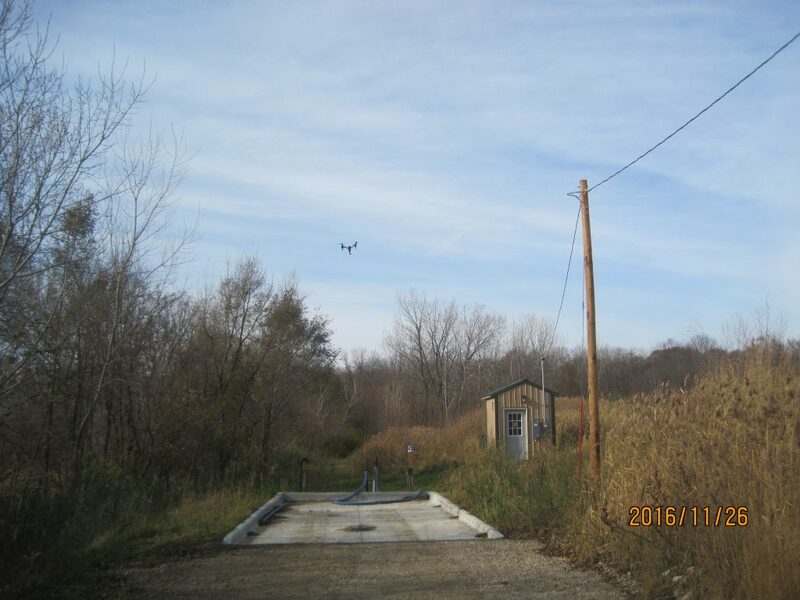 Upon completion, the project was reviewed by the Society of American Military Engineers and awarded commendation at the Port-O Call Officers Club, Great Lakes.